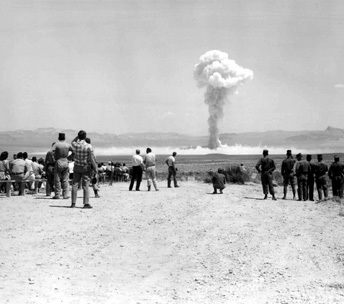 On 29 August, the international community observed the second International Day against Nuclear Tests. The UN General Assembly created the event in December 2009 through the unanimous adoption of resolution 64/35. This year, the International Day against Nuclear Tests also marked the 20th anniversary of the closure of the nuclear weapons test site at Semipalatinsk, Kazakhstan. According to UN resolution 64/35, the day is “devoted to enhancing public awareness and education about the effects of nuclear weapon test explosions or any other nuclear explosions and the need for their cessation as one of the means of achieving the goal of a nuclear-weapon-free world”. The UN Office for Disarmament will be hosting two events on the 1st and 2nd of September at the UN Headquarters in New York to commemorate the day – a high-level workshop looking at meeting the targets of the Nuclear Non-Proliferation Treaty (NPT) action plan and an informal meeting of the General Assembly. For a full version of the article, click HERE.